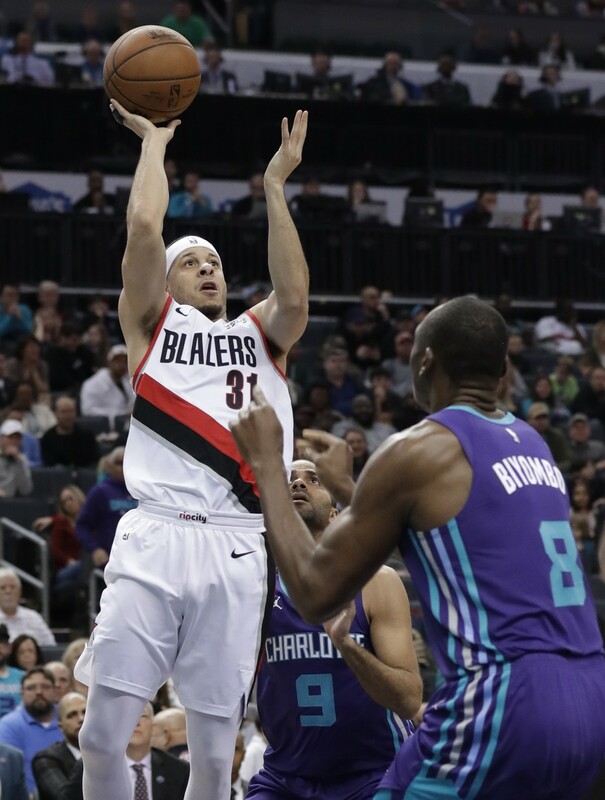 CHARLOTTE, N.C. (AP) — Rodney Hood scored 27 points, Jusuf Nurkic added 26 points and 15 rebounds and the Portland Trail Blazers beat the Charlotte Hornets 118-108 on Sunday. Damian Lillard had 23 points as the Blazers won for the sixth time in their last seven games. 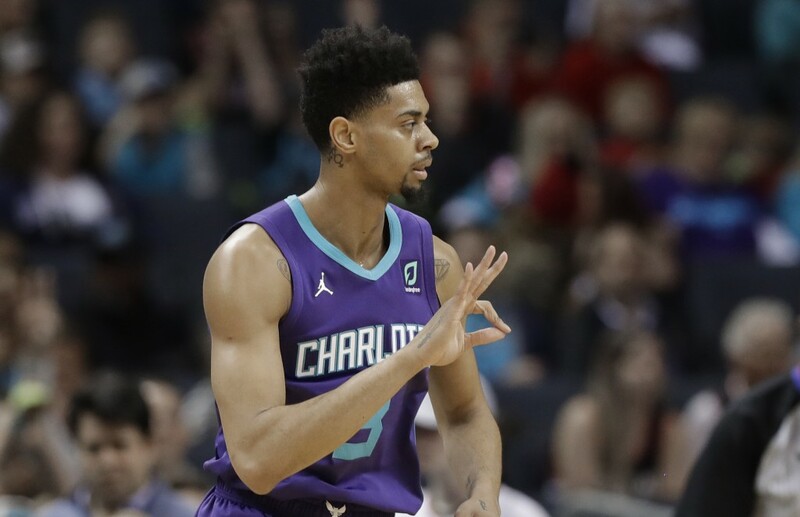 Jeremy Lamb had 23 points and Kemba Walker had 18 points and a season-high 12 assists for the Hornets, who entered the day tied with the Magic for the eighth and final playoff spot in the East. The Blazers limited Walker to 5-of-21 shooting. It was a back-and-forth game until the six-minute mark of the fourth quarter, when the Blazers went on a 12-2 run to break it open. 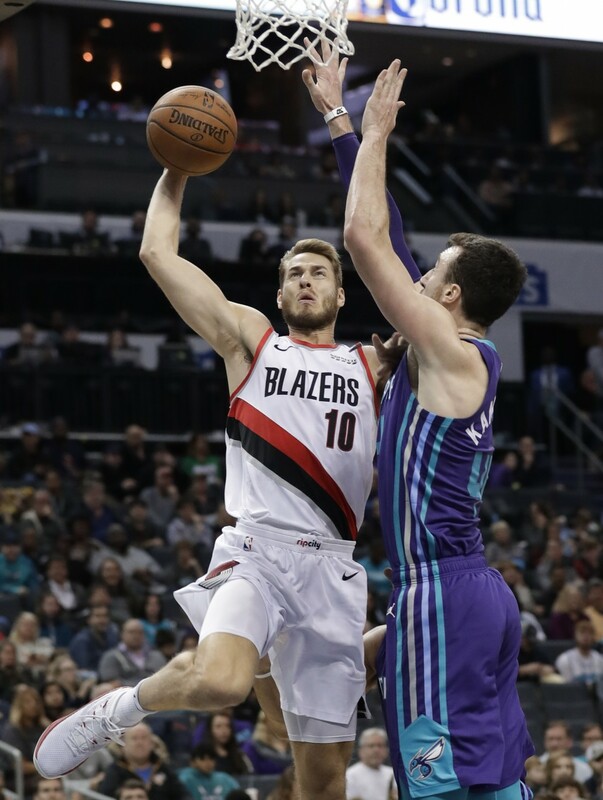 Portland scored from a variety of spots including a fast-break layup from Nurkic, an 18-foot jumper by Hood and a put-back from Al-Farouq Aminu that led to a three-point play. 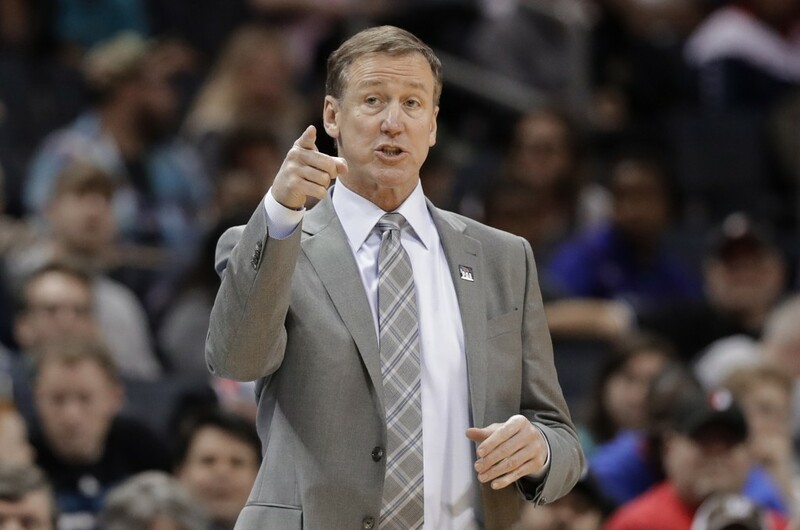 Hood ended Charlotte's chance of a comeback when he drilled a long 3-pointer from the top of the key to push the lead to 14 with 2½ minutes left. 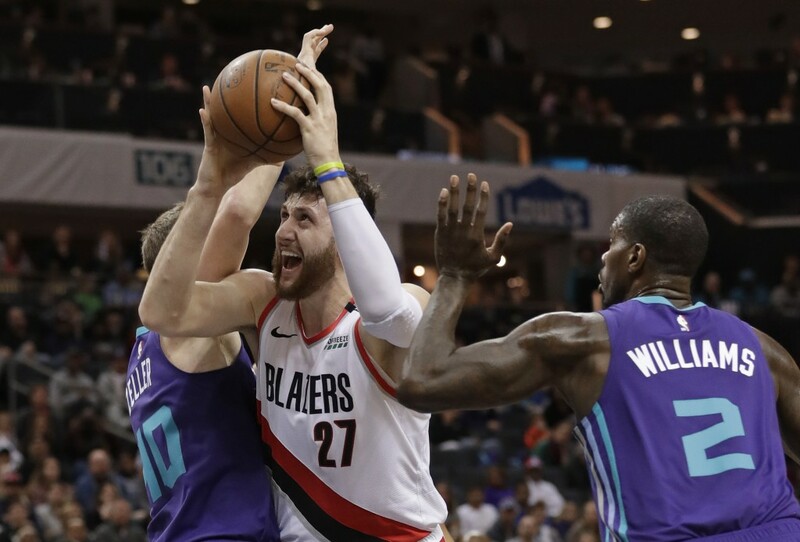 The Blazers built a 56-50 halftime lead behind Nurkic, who dominated the paint in the first half with 14 points, seven rebounds and four assists. 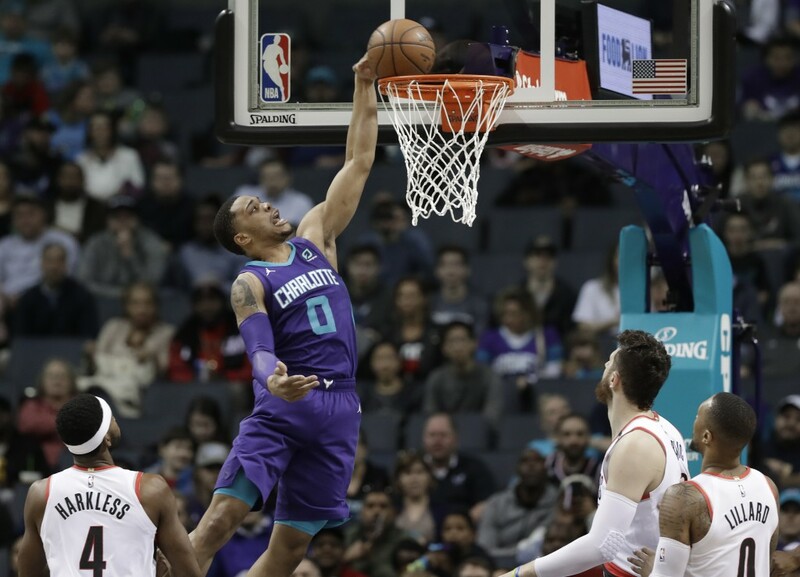 Lamb was the primary reason the Hornets stayed in the game, outscoring his team's entire starting five in the first half with 20 points on 8-of-11 shooting. Hornets: In his second game back in the rotation, Frank Kaminsky had another solid outing with 18 points and seven rebounds.